The award-winning coopérative Le Brun de Neuville was brought to life half a century ago in 1963 by a score of passionate vine growers in the Sézannais, and now has 150 members harvesting 152 ha. The name Le Brun comes from the family of one of the founding members, 5th generation wine-growers and owners of the Château de Bethon for over 150 years. The Brun de Neuville vineyards are spread over seven villages and Chardonnay makes up 90% of total production. 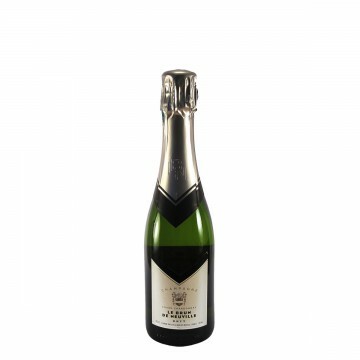 The Côte de Sézanne enjoys a distinct advantage over better known growing areas of Champagne due to the high consistency of fruit quality achieved. The local micro-climate provides a greater protection against spring frosts and the soil is particularly suitable for Chardonnay vines, producing wines that are aromatic with rich, finely balanced fruit flavours. Grapes are pressed separately according to plot and commune, so that when assembling the final blend the Chef de Cave has a wide aromatic palette of wines from different plots, grape varieties, communes, years and soils at his disposal. After bottling the Champagne is kept in cellars 15 metres underground for the time necessary to acquire effervescence and personality. 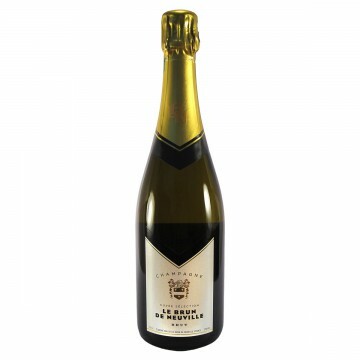 There are two lines in production: Champagnes Le Brun de Neuville and the more selective Champagnes Lady de N. Both lines have consistently won medals since the early 1990s, and in 2015 Le Brun de Neuville were awarded Best Champagne Producer by the IWSC. 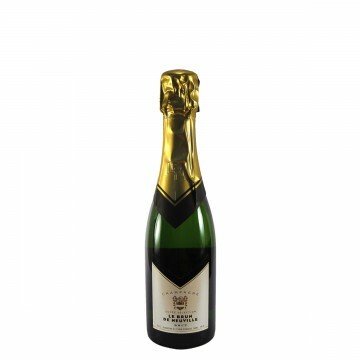 Their Lady de N. Cuvee Chardonnay was also awarded Best NV Champagne in 2015 and 2016. Authentique cuvees have had five years of slow second fermentation.Appearance: Golden with a tint ..
Authentique cuvees have had five years of slow second fermentation.Appearance: Raspberry pink with.. 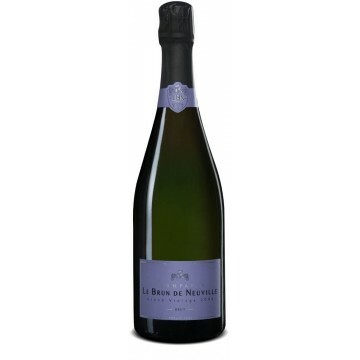 Produced mainly with the wines of each year's harvest (90-95%), the 'house style' is maintained by.. 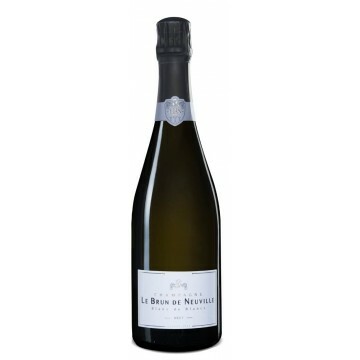 Produced mainly with the wines of each year's harvest (90-95%), the 'house style' is maintained by i.. 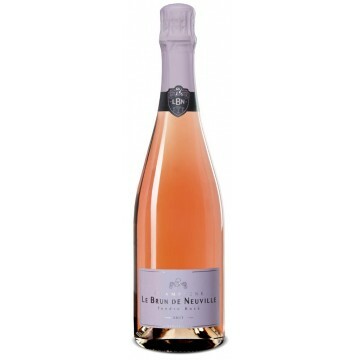 Delicately coloured by the Pinot Noir (40%) with a fine and flowery nose, and balanced and citruss.. 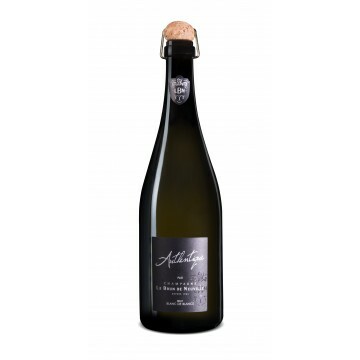 Very dry in style, this wine owes its elegant structure and flowery nose to the quality of the Chard..
A Pinot Noir dominated Champagne, in the range of 60-80% Pinot Noir and 40-20% Chardonnay. 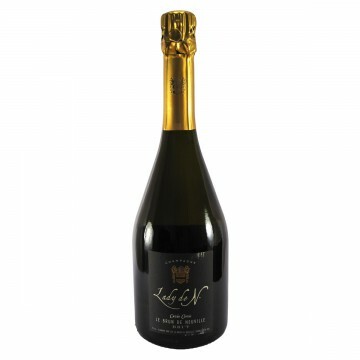 This Tê..
A golden yellow colour with bright gold glints and fine intense effervescence. The nose is agreeably..